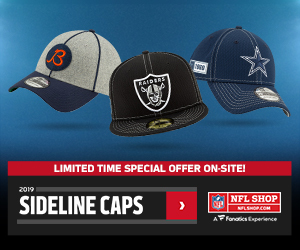 The first week of the 2018 NFL season had a large number of buzzing headlines and surprise outcomes. We saw Ryan Fitzpatrick dropping a 50-spot in fantasy football on the Saints, the Browns found new ways not to win (or lose), and the Titans-Dolphins go into the record books for playing in the longest NFL game since 1970, which had four hours of a weather delay. In the primetime games, we saw the Lions intercept Sam Darnold’s first pass for a touchdown but get blown out at home on Monday Night Football, while Aaron Rodgers performs his best karate kid comeback for a classic Sunday Night Football Packers win. There were nine games decided by one score, including a Buccaneers 48-40 victory which surprisingly was the first occurrence of that outcome in NFL History. Six underdogs won, including two of the largest spreads of the week (Bucs +9.5 and Jets +7). NFL ratings were up on most networks, despite what rumors you may have heard on Twitter, and Fantasy Football saw the loss of two solid Tight Ends in Greg Olsen and Delanie Walker, making the position even more difficult to plan for. Now that you’re caught up let’s get to my Start’em Sit’em recap and then on to this week’s recommendations. Considering I entered the first week of the season with nothing more than watered down pre-season games, training camp news, and a cluster of 2017 data, I thought the first start’em sit’em article of the season went quite well. As I mentioned last week, I’ll have way more data for my Start/Sit recommendations moving forward. Sit Jimmy Garoppolo – The 49ers struggled as I predicted against the Vikings Defense, and Jimmy G threw for just one score and had three INT’s. Sit Ben Roethlisberger – Big Ben even got a bonus overtime quarter, but couldn’t improve on being QB23 for the week, throwing 3 INT’s and having 2 Fumbles lost. Start Joe Flacco – I didn’t push this prediction too hard, as I talked about how he’d be a nice streaming QB or in a deep league. Still, despite sitting for most of the third quarter, Flacco had 3 TDs and 263 passing yards. Sit Chris Carson – 51 rushing yards, 28 receiving yards, and 2 fumbles lost. Sit Alfred Morris – 38 rushing yards and a fumble lost. Sit Sammy Watkins – 3 catches for 21 yards. What a bum. Sit Josh Gordon – I’m calling this as a win guys, I don’t care what you say. Gordon caught one pass that happened to go for a touchdown. In a game where he got an additional quarter thanks to overtime to make plays, Gordon wasn’t worth the start. He finished the week as WR50, which is not deserving of having a starting percentage of 55% as stated in last weeks article. IDP Prediction: Chandler Jones would get a sack – correct. Start Jared Goff – Slow start, but he had 2TDs, no mistakes. QB15. Start Royce Freeman – Not the best day, but 7.1 Fantasy points isn’t awful. Start Peyton Barber in Deep League Flex – This could have been better. Start Nelson Agholor – I’m going to put Agholor in the “not bad” category, as I did talk a lot about him getting a lot of targets. His fantasy production was pretty good in PPR formats as he made 8 receptions, had a run of 16 yards, and a pass for 15. Start Corey Davis – 6 receptions for 62 yards isn’t bad. This game was a mess with weather delays, and Mariota left the game with an injury. Davis did see 13! targets though. Start Matthew Stafford – I thought this was too obvious of a recommendation, but wow did Detroit look awful. Start Jamaal Williams – This game didn’t go according to the plan. The Bears got off to a quick lead, the Packers lost Rodgers in the middle of the second quarter and needed to abandon the running back in the second half. Start Jordy Nelson – Carr wasn’t throwing the ball further than 8 yards. Start Austin Seferian-Jenkins – 3 catches for 25 yards. Start Cardinals Defense – yuck. Sit Bengals defense – Saved from a scoop and score TD, otherwise the points allowed wasn’t great. 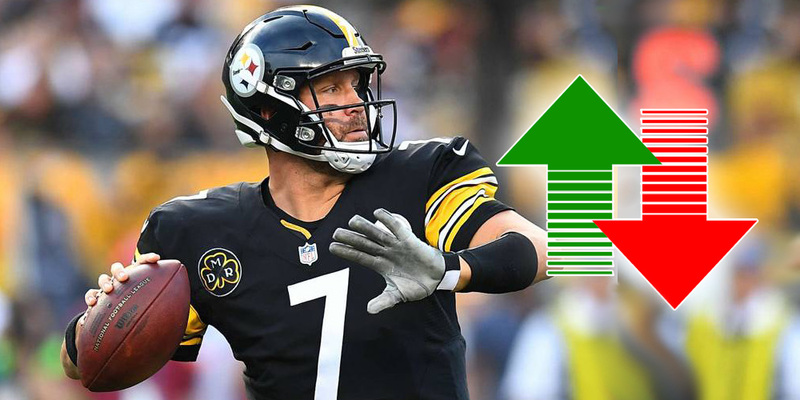 Last week Big Ben was my recommended sit, this week he bounces back in a huge way. Roethlisberger’s passer rating plummets when he goes on the road, in fact, he turns into a completely different QB based on location. Luckily the Steelers are at home in week 2 and face off against a Chiefs secondary that the Steelers passing game should pick apart. Kansas City looked explosive on offense, but defensively they have to be concerned. The Chiefs gave up 418 passing yards and 3 scores to the Chargers, which included eight passes that went for more than 20 yards. Big Ben and company are looking to bounce back from their tie against the Browns with a win at home. The Buccaneers surrendered 432 passing yards and three scores to the Saints. They allowed six passes for more than 20 yards and gave up 40 points. The Eagles looked shaky in the season opener but I don’t think the Falcons defense got enough credit for that low scoring affair. The Eagles have had an extra few days to prep for this game as they played on Thursday. There is still a chance Wentz gets the start, the announcement comes Wednesday, but odds are it’s Foles for another week. Heads up: Weather could be an issue. It’s great seeing Andrew Luck return to football, his long road to recovery was grueling and tough on the Colts fanbase. Unfortunately, despite his return, I don’t see week two versus the Redksins being a great game for him. The Redskins were one of the biggest defensive surprises of the opening weekend. Not only did they go on the road and get a win against the Cardinals, but they did it in a very convincing fashion. The Cardinals were held to just 213 total yards on the day, which included keeping David Johnson in check with just 37 rushing yards. The Skins passing defense was even more impressive as their opponent could only muster 145 passing yards and was 1 for 8 on 3rd down. 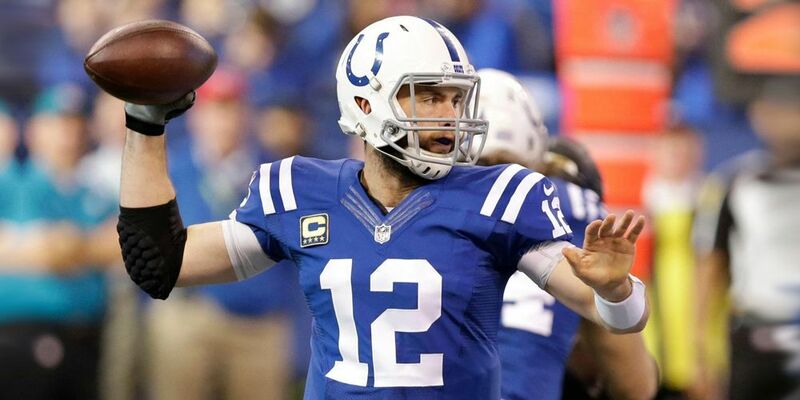 Luck looked pretty good last week against the Bengals, but I don’t have confidence in him on the road week two. Dion Lewis’s snap count was 71% (49 of 69) versus the Dolphins in week one. 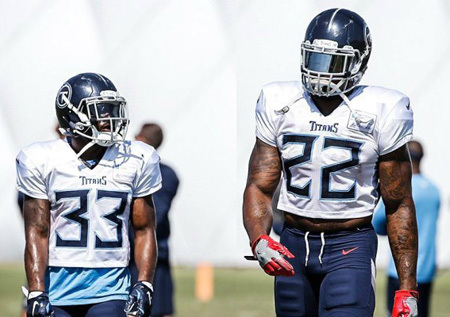 His counterpart Derrick Henry played just 28.9% of the Titan’s offensive plays. Granted, weather delays and playing from behind could have had a major impact on the amount of workload Lewis saw, but the loss of Delanie Walker for the season could mean more targets. The Titans face off against the Texans in week 2 and with or without Marcus Mariota (elbow) the Titans are going to need someone to step up in the passing game. Great PPR start. The Redskins gave Adrian Peterson 26 carries in week one. His snap count was low (53.1%) but when he did get on the field they used him. The Redksins were smart not to waste opportunities getting the most of out AP despite his age. I’m not sure Peterson can last a whole season, but you might as well take advantage of the early season opportunities while you can. AP was RB6 in week one (RB8 in PPR). The Colts gave up 5.1 yards per carry in week one, and I don’t see that number improving while on the road. This recommendation is for fantasy owners who play in standard scoring formats. I think Kenyan Drake could be valuable in PPR leagues this week, but as a rusher, I have low expectations. 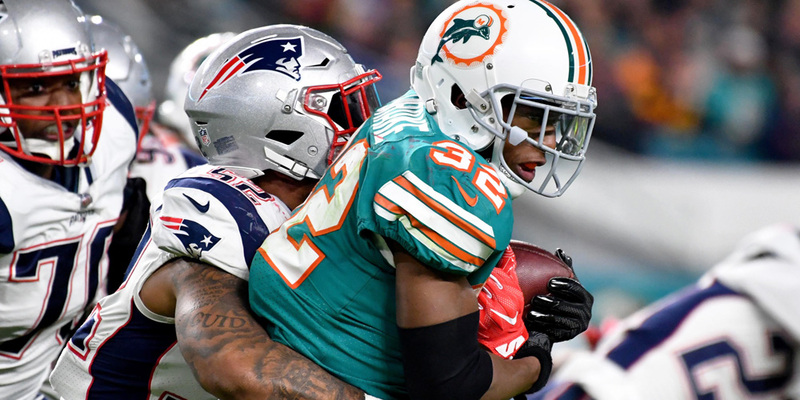 Drake did play 74.1% of all Dolphins offensive plays in the season opener, but facing off against the Jets very stingy defense could make things tough for fantasy owners this week. I had commented in last week’s article that the Jets defense was a work in progress, but maybe I underestimated them. The Jets have fired defensive line coach Pepper Johnson, outside linebackers coach Mark Collins, and defensive backs coach Joe Danna, but kept defensive coordinator Kacy Rodgers in the offseason. Early impressions are that the overhaul has paid off. In the Monday Night spoiler against the Detroit Lions, the Jets allowed just 2.6 yards per carry, ranking them first in the league. I really like Jamaal Williams, but this is not a great matchup. The Vikings have one of the leagues toughest defensive lines and should continue to hold rushers in check this season. The Vikings held the 49ers to 90 rushing yards on 25 carries (3.6 yards per touch). If Aaron Rodgers’ knee isn’t 100%, the team will likely lean more on the quick pass game to help move the chains. I could see Ty Montgomery out snapping Williams in this contest. Start Brady vs jags or Manning vs cowboys? Got to Stick with Brady. So whats going on with Jayden Samuels and Boston Scott? I cant find any news on them and both their teams are in need for a running back #2.